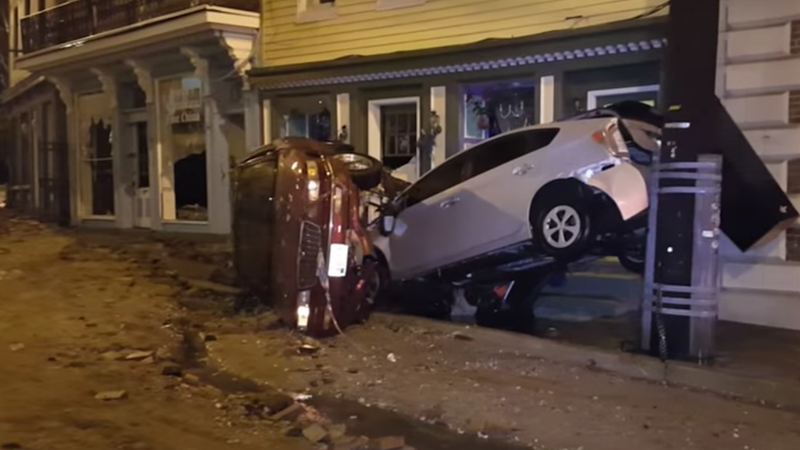 Heavy flooding in Ellicott City, Maryland this weekend left two people dead and necessitated the rescue of 100 others, in what one county executive described as the worst destruction in generations. Kittleman said six inches of rain fell in just two hours on Saturday night—roughly the same amount that the city, which lies roughly 12 miles outside of Baltimore, gets in a month. The National Weather Service reported that the nearby Patapsco River surged more than 13 feet, according to NBC. One victim, Jessica Watsula, 35, was killed after her car was swept up by rushing water; the other, 38-year-old Joseph Blevins, also died after his car got caught in the flooding. At least 25 buildings were damaged, and videos from the scene showed cars floating down what had previously been city streets. A state of emergency was declared in Howard County, and people have been advised to “avoid the [Main Street] area because of gas leaks and downed power lines,” according to NBC.